Many people who think of orthodontic care instantly picture traditional	braces with the mouth full of wire and colored bands. However, new technology	offers alternatives that can be clear or mostly clear. When it comes to	our experienced staff at Labbe Family Orthodontics, we offer two clear or	mostly clear alternatives to traditional braces. Invisalign braces are clear aligners that gently move the teeth. Because	they are removable, these are a great option for those who wish to be	able to eat and drink what they choose. Tooth-colored ceramic braces are	made of clear material to make them less visible. However, they also tend	to be larger and more brittle than traditional braces, meaning more attention	must be paid to oral hygiene. 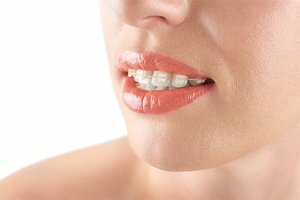 By and large, transparent braces provide the benefits of the traditional	kind without interfering with your smile. We’ll help you select	the best clear braces for your teeth.